Whether print, film or television, fantasy as gone from being a fringe to mainstream genre in recent years. We’ve discussed why it has appeal and how the stories of the masters like Tolkien have such depth and staying power. But what if you could take these worlds that captivate your mind and add another dimension to them? An interactive one where you can enter for a time? I’m not talking about joining some reenactment group (though some do) or video games (and their lack of face-to-face human interaction). Instead, there have been a number of successful attempts to lay out fantasy worlds right on your table in the form of board games. No, these aren’t the repetitive and soon worn out type of games we are all introduced to as kids. Take Legends of Andor where you join your fellow players in Andor to stand up to the evil hordes and resolve pressing quests. Yes, I said join; this is a cooperative game. This is a whole different experience for those (nearly all of us) used to the normal competitive party games. Most find they like it, but might find it strange that everyone can lose. In Runebound you set off on your own into Terrinoth, but instead of just reading about heroes, you can become one and face their trials and triumphs for yourself. Or maybe you want a familiar land? Then enter Middle Earth in Lord of the Rings: The Card Game. With essentially just cards, you find yourself in immersive scenarios with your allies. Soon you will want to jump back into the books, or are you already there? While the stories that unfold cannot be as detailed as a book, they certainly have qualities of unexpectedness, interaction and variability that pull you in like a good book would. These class of games bring gaming out of the kid realm. The learning curve is a bit steeper than say Scattergories or Trivial Pursuit, and but you are rewarded with depth and the joy of engaging your mind (that’s not to mean that they are hard to learn). Apparently there is a golden age of gaming threatening to drag people from their glowing screens and replacing it with human interaction and adventure. Battling evil, finding the hero within, exploring strange lands…it all seems much more exciting than another television show that is the same as the last twenty. But as fantasy fans, you already knew that. “Adventures? Nasty disturbing uncomfortable things!” said Bilbo to Gandalf. If he only knew. The scenes that follow — the arrival of the dwarves who take over his home — did not seem to be a favorite in the films, but was an essential part of the book. In it we see much of ourselves. Bilbo was set in his ways, in his little world. Didn’t want to be bothered, nor wanted any deviations from the norm. So imagine the disruption of this rowdy band taking up residence, uninvited. Think about about how people handle disruptions in their life. Poorly. Even good, life-changing ones. We don’t see what goes on around us. Neighbors in need. Corrupt governments. If the snack bag is full, and the batteries are good in the remote, we’re a-okay. Devin Brown writes in Hobbit Lessons, “We might also think of someone who can’t bear to be away from their laptop for more than a few minutes. Or someone for whom being out of cell phone range counts as a real hardship.” Sad. We see Bilbo’s change in his dwarf encounter. Brown writes that the hobbit senses “he is missing something” and decides to go on a “quest to live more fully” and ultimately becomes a critical part in the history of his world. Are you going to challenge your status quo? How are you going to handle the next disruption? Perhaps we all need a quest. An adventure. Part three of The Hobbit trilogy has come and, in all likelihood, is the last of Middle-Earth’s time on the big screen. Fans never thought they would have to wait nine years from the original trilogy to revisit this world that became a bit of a December tradition. And so that now ends, but Middle-Earth will never leave us. 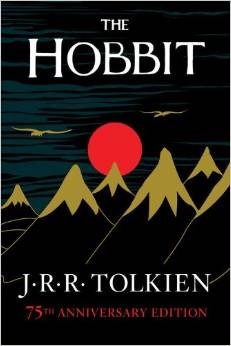 It has been over seventy-five years since The Hobbit was first published. How many books endure that long? Few. Fewer still inspire films that don’t quickly fade from history. Fans argued which film trilogy was better. Such arguments usually ignored the fact that you couldn’t expect to compare the two. The books themselves were quite different, Tolkien never changing the style of his first to match the latter volumes. He didn’t feel the need to change it, other than a few details. So the filmmakers had to find a careful balance: Make The Hobbit more in line with the look and feel of the first films without losing its unique, and lighter, traits. Keeping that in mind, the films largely succeeded. By the end of the latest, you are shown a Middle-Earth that is changing and the future holds darkness. Not the finality of The Return of the King, because it isn’t the end. It is a prologue to what is to come (or what has already passed, depending how you look at it). Why has Middle-Earth captured readers (and now film lovers) for so long? Why has it inspired so much in the fantasy and other genres? Because behind all the creatures, the fantastic battles, wizards and elves, it’s about people. People who stand against evil, who never abandon each other even in the darkest times, and risk it all in the process. It’s the Story about who we all want to be. What we were meant to be. A few months ago in my post More Than Just a Fantasy we looked at how the fantasy genre — in particular J.R.R. Tolkien’s vision — is relevant to us in its stories and themes. 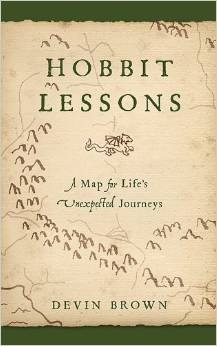 In particular, Matthew Dickerson’s book A Hobbit Journey: Discovering the Enchantment of J.R.R. Tolkien’s Middle-Earth, showed us how Tolkien’s worldview was populated with many deep ideas to ponder and learn from. With the release of the second Hobbit film, it’s a good time for Tolkien fans to once again dig deep into his mythos and what formed what has become a classic part of 20th Century literature. There is no shortage of books to peruse, but a couple stand out. There is the before-mentioned by Dickerson, which focuses on how Tolkien’s Christian beliefs were the foundation to his writings. Tom Shippey’s The Road to Middle Earth: How J.R.R. Tolkien Created a New Mythology is the go to biography of Tolkien and exploration of his many inspirations. John Garth expands on one aspect of Tolkien’s past, his serving in World War I, in Tolkien and the Great War. The War of the Ring had some very real life parallels. For those just looking for guides through the incredibly realized Middle-Earth, The Atlas of Middle Earth and Tolkien’s World from A to Z are indispensable guides. If you wish Tolkien himself had written more of his creation, he did in The Children of Hurin and The Silmarillion (both completed by his son after Tolkien’s death). To top all this off, Christopher Snyder’s new The Making of Middle-Earth covers a little bit of everything of Tolkien’s world and legacy. It’s a great place to start for all Tolkien students and fans. Do you need these books to enjoy Tolkien’s fiction? No. Do they make you want to go back and re-read and become immersed — deeply so — into Middle-Earth like it was the first time? Yes, they certainly do.